Outdoor activities where you can enjoy nature are some of the most relaxing things you can do when traveling. 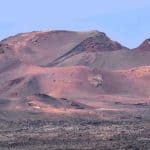 From First Minute Transfer we want you to know the best hiking and trekking routes in Lanzarote. Keep reading and take notes for your next trip. Hiking and trekking are sports activities that have many benefits. Over the years they have become much more attractive. Being able to connect with nature means that people can relax and enjoy the landscapes. It is an excellent idea to get fit and by not requiring excellent physical conditions allows more people to practice without any problem. A walk of this type, which can last 90 minutes, considerably reduces stress levels. Lanzarote is an island that has a lot of routes to practice these physical activities. 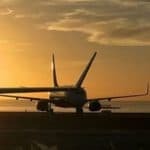 What makes it an ideal tourist destination if you want to connect with nature and also enjoy some of these sports. 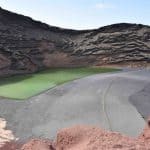 The hiking trails in Lanzarote are highlighted because they have wonderful landscapes that make them very attractive for anyone who decides to visit the island. This activity will allow you to appreciate from another perspective the majestic place. 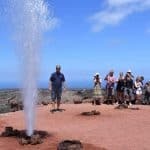 Taking trips in Lanzarote can be a very good idea if you like to be outdoors. Here we will make a list of the routes that you can not miss during your stay on the island. 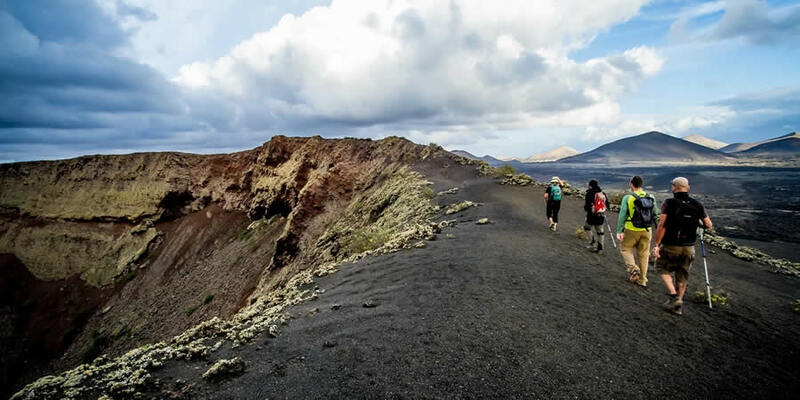 Hiking at “El camino de los Gracioseros” is one of the best known trekking routes in Lanzarote. This takes you to Playa del Risco. On the way you will find a large number of rural villas and a wide paved road. The Chinijo archipelago is another natural beauty that you can observe to be in one of the best hiking trails. During the days when there is more sun you can easily see La Graciosa, Alegranza, Roque del Oeste and Montaña Clara. 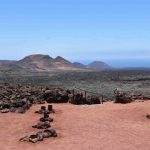 This trail can be quite demanding, so it is not recommended for beginners, or at least not, without an official guide of hiking in Lanzarote. This can watch at all times for your safety. There are many stones so you must be very careful when you walk. You can find the start of a beautiful Lanzarote route on the Mancha Blanca-Timanfaya road. It is a fairly wide path, from there you can see the Caldera Blanca path. The protagonist in this are the leagues of volcanic lava. This is a beautiful route to enjoy the wonders that volcanic lava made. In addition to seeing how it has been changing over the years. The best part of the trail is that it allows you not only to appreciate the passage of the volcano, but also to see the mountain cones. The Caldereta mountain is the one that appears on the route. When accessing it you can appreciate the figures that the erosions of lava left, some very large olivine rocks. This trail is of a low level, which allows excursions to discover Lanzarote. The beginning of the route is in the middle of the town of Yé and the Church of the town. From the beginning you can enjoy many fig trees and vineyards. The ease of the route prevents you from getting lost, which makes it ideal for hiking with children. It is a good activity to do as a family. On the Yé-Volcán trail you can also observe a variety of vegetation that turns out to be a delight for the eyes. An important warning is to be careful with the force of the wind when crossing it. 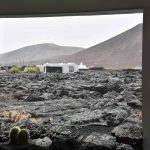 However, it is a route that allows volcanoes to go hiking in Lanzarote. This route is a network of trails in Lanzarote, these are connected to each other. This makes it easier to better appreciate the different landscapes that you can go through when accessing them. Its difficulty is low, making it perfect for beginners. 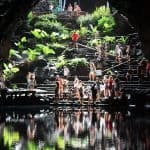 It has a distance of 8 to 10 kilometers and a duration of two and a half hours to the Coconut trees and three and a half hours to reach Charco del Palo. The route starts at the most distant part of Costas Tiguese and from there you can see the maritime coves. The route has an extension of approximately 10 kilometers in addition to having a medium high difficulty and duration of three and a half hours. The beginning of the trail is very close to Playa Blanca. The Atlantic Ocean is something you can appreciate when walking on this path. The beauty and majesty that you will find in each one of the stations that you will observe can leave you breathless. The remains of solidified lava make a very interesting landscape, the strange vegetation that breaks through to grow there is something worth knowing. In this Lava you´ll find a lot of landscapes that allow the delight of anyone. Its appearance is quite desert. The trip you make starts from the Atlantic to the north of Lanzarote. You can also see the Risco de Famara as a guide on the way and next to it, the islands of Chinijo Archipelago. 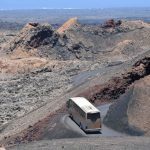 This is one of the best routes in Lanzarote. Their difficulty is medium and they are about 4 kilometers long. From here you can access the Natural Monument of Los Ajaches. A beautiful place to contemplate nature. Although the environment is dry, there is vegetation on this route. The tree known as bobos is one of the plants that proliferates in the place. 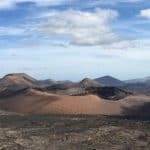 The hiking and trekking routes of Lanzarote allow you to appreciate an infinity of wonderful landscapes that manage to fall in love and connect with the island. A super important point is always worry about safety, so if you want to know any of these trails by the hand of professionals, you can contact us. 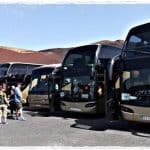 Previous Previous post: What to do in Lanzarote with children?